We've all seen Matt Cutts talking on the subject and I'm sure we all get it - it's not about counting keywords but a good quality human-readable page. 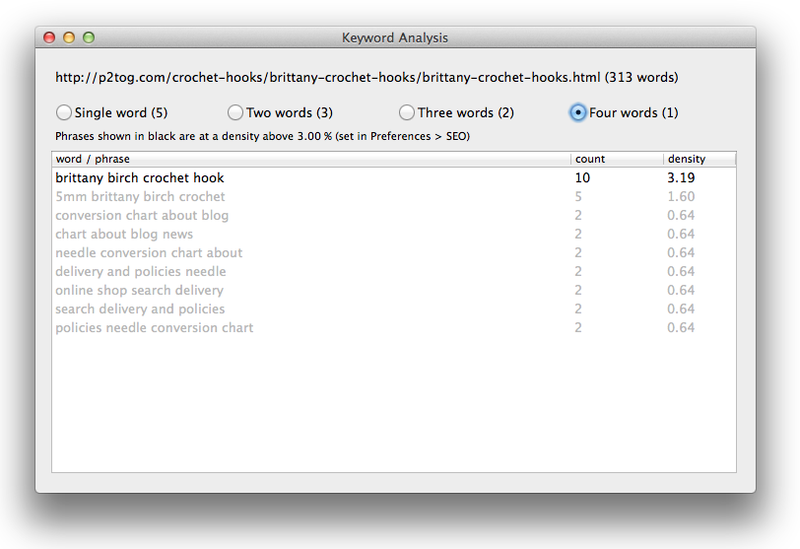 Keyword checking is still a frequently-requested feature. If you're auditing a large site you don't have the luxury of reading each page aloud to a colleague as Matt suggests. That's where a website scanner that alerts you to potential problems is useful. This feature is in Scrutiny version 5.7 due for release soon (may be released by the time you read this). 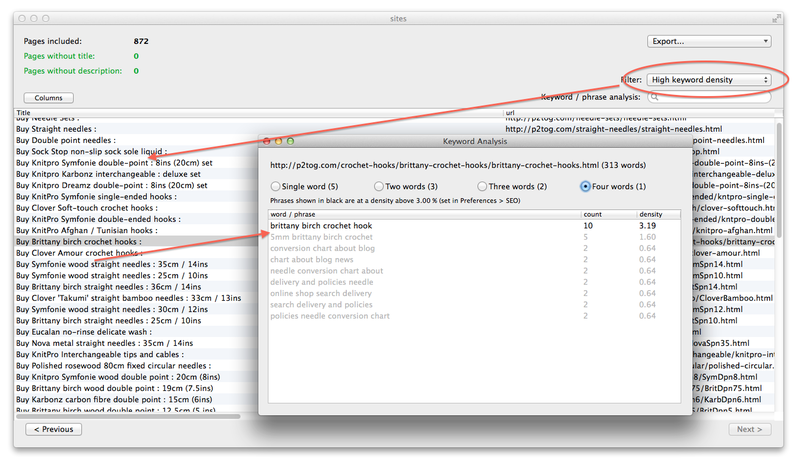 While it does its regular scan, Scrutiny can now check the text content of the page for keywords occurring above a threshold that you set in Preferences (default warn level 4%). (Note that this feature slows the crawl a little, therefore you have the option to switch it on or off on a per-site basis from your Settings for that site). Integrity Plus. Filling the gap.